Aged Metal – New Year | New Color! 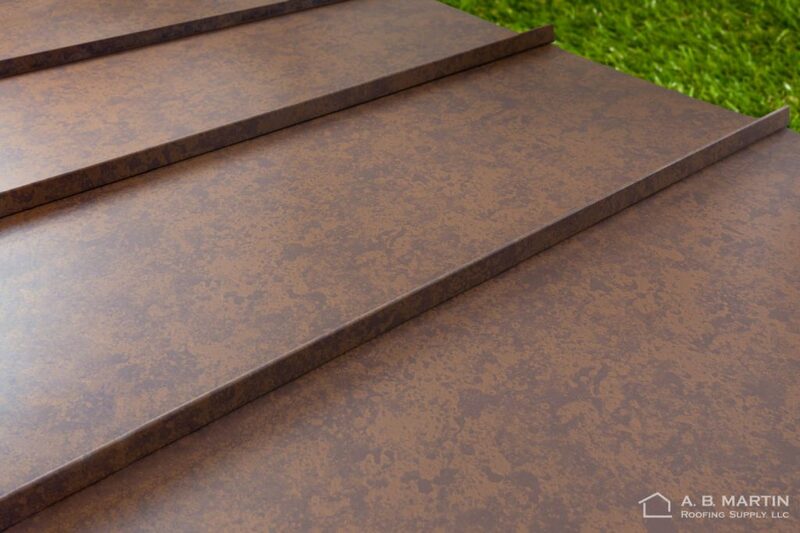 New in 2019 is the painted-rust, Aged Metal color available in all our panel profiles. 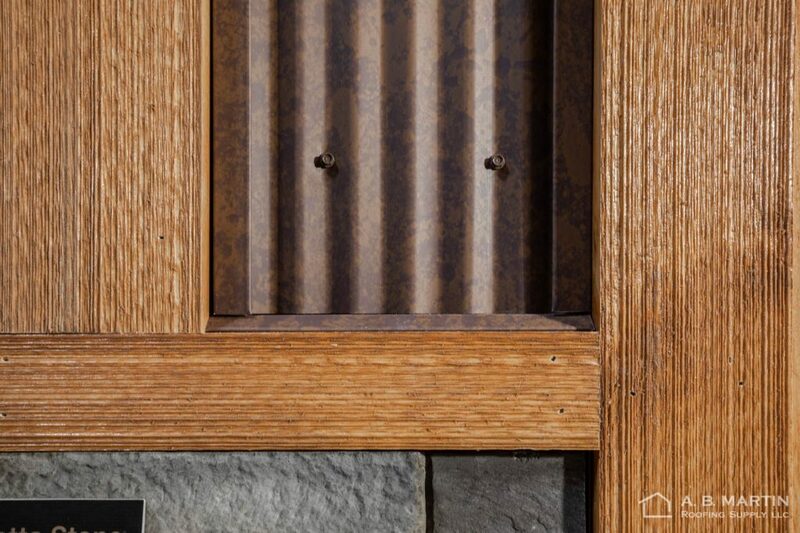 The rustic look is actually a premium Kynar paint that mimics a weathered, rusty panel. The advantage? It comes with a 40-year paint warranty. 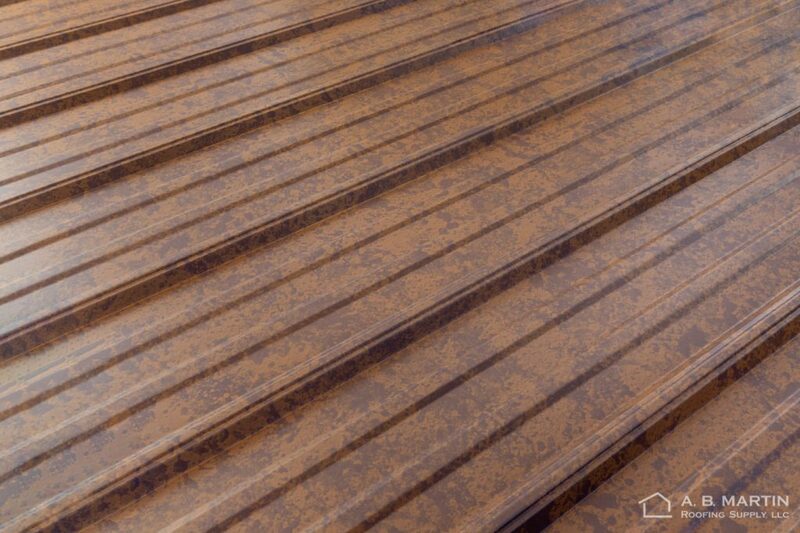 Meaning your painted “rusty” metal is guaranteed not to rust through (under normal conditions, of course) for at least 40-years! 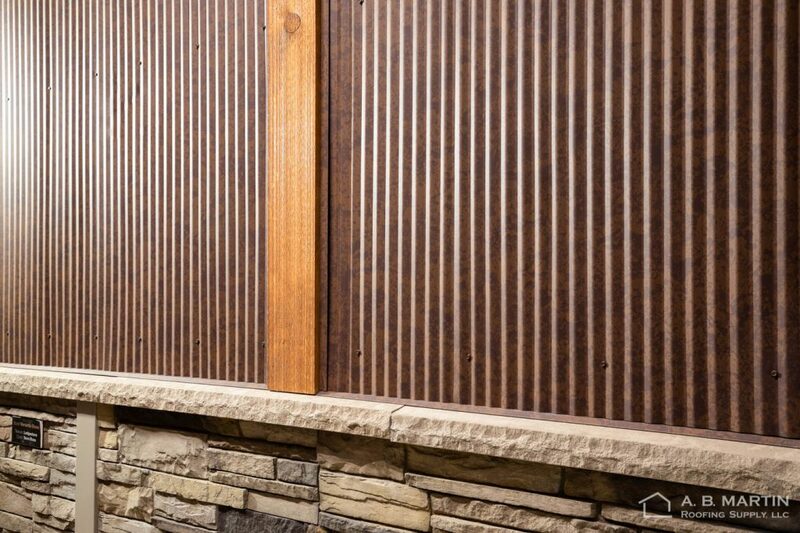 The 40-year warranty means that any Aged Metal panel is durable enough to be used on the outside of your building. And it looks great – giving a truly rustic feel. You might say, “Of Course it is durable enough for outside. Where else would you use it?” Ahah! That’s the beauty of it. 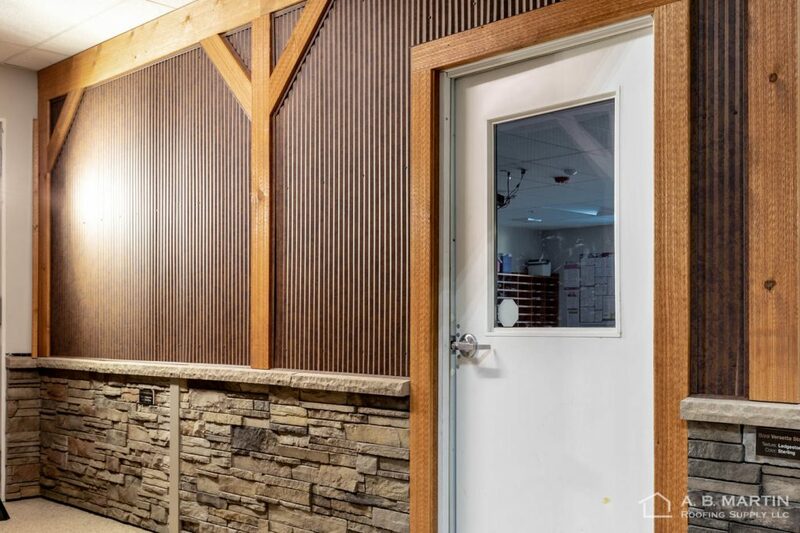 The Aged Metal is already a hot seller for interior applications like wainscoting in man-caves, accent walls in offices, and even bathroom shower stalls! It looks great at a distance and up-close – and you don’t need to worry about updating your tetanus shot. 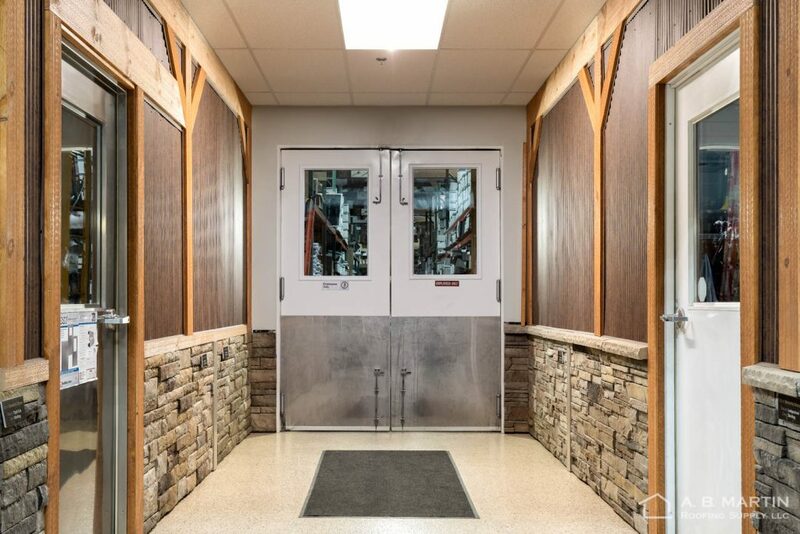 Check out these pictures and look for more in our Photo Gallery as we plan to showcase completed projects. 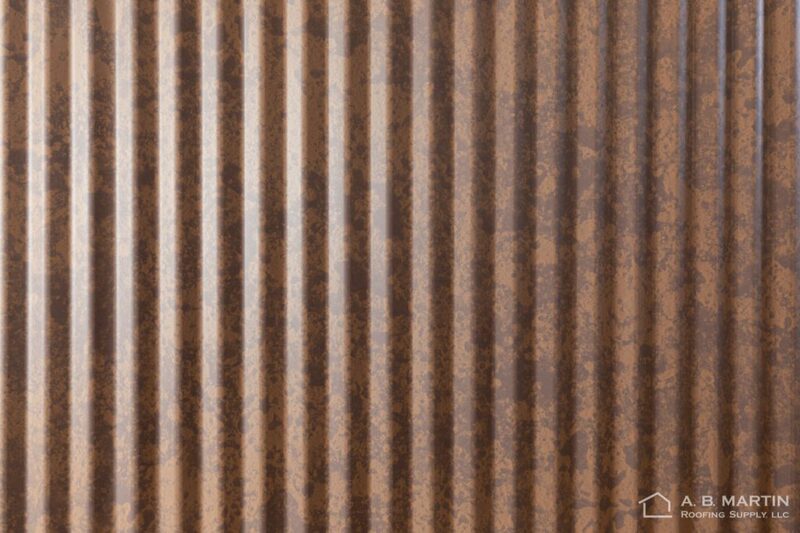 The 26 Gauge Aged Metal is made to custom lengths in all of our panels – the most popular being the 1-1/4″ and 2-1/2″ Corrugated panels (neither of which are recommended for roofing because of the short rib height and lack of an anti-siphon channel), the ABM Panel, and the 16″ wide ABSeam Panel. Matching trims are also available. You get what you pay for they say, and the Aged Metal is no exception. 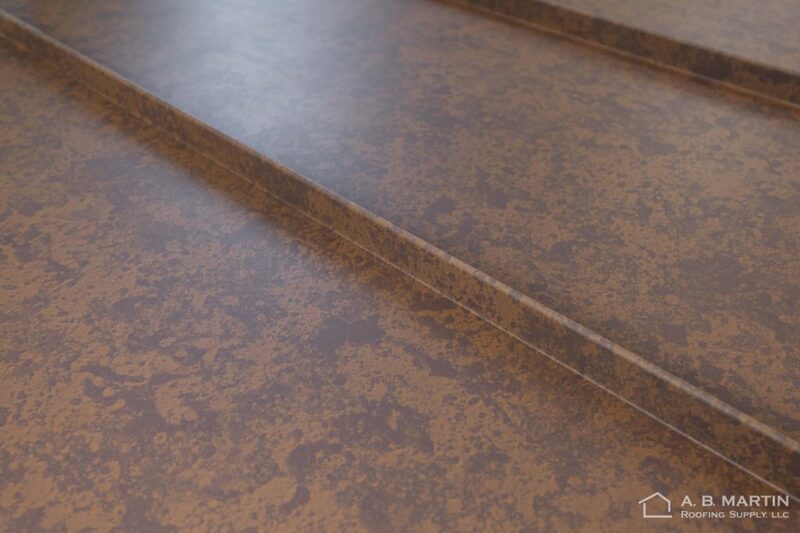 The premium coating utilizes a complicated (a.k.a. 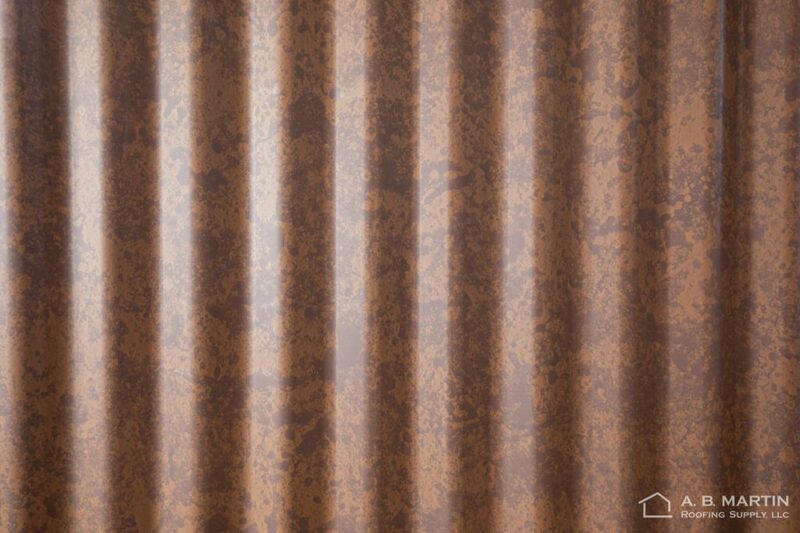 “expensive”) dual-coat process that bonds the rusty print to the panel. But it is Exterior value for the look you achieve. Want to see how it looks in person? Stop by our showroom in Ephrata to see our new display (pictured below), or pick up a free sample at either location.